Bijoy Jain, principal of Studio Mumbai, will present and discuss his studio’s recent work and its ongoing exploration of the relationship of land and architecture, process, and materials. Jain’s work endeavors to explore “the genuine possibility in creating buildings that emerge through a process of collective dialogue, a face-to-face sharing of knowledge through imagination, intimacy, and modesty.” The studio designs through “an iterative process, where ideas are explored through the production of large-scale mock-ups, models, material studies, sketches, and drawings. Here projects are developed through careful consideration of place and a practice that draws from traditional skills, local building techniques, materials, and an ingenuity arising from limited resources.” In this spirit, the studio consists of both architects and skilled craftsmen who design and build each project from start to finish. Studio Mumbai exhibited at the 2010 Venice Biennale with “Work-Place,” which was awarded a special mention by the international jury and was featured in the recent exhibition “1:1 Architects Build Small Spaces” at the Victoria & Albert Museum in London. 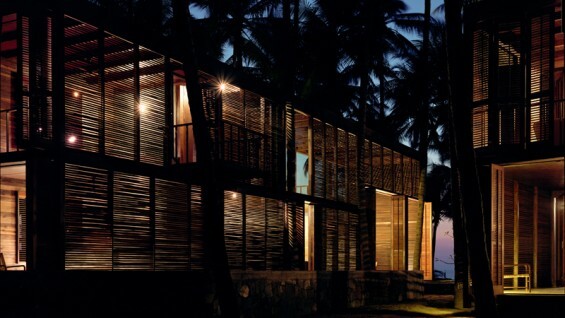 The firm’s projects in India include Belavali House, Copper House II, Leti 360 Resort, Palmyra House, Tara House, and Utsav House. Bijoy Jain was born in Mumbai, India in 1965 and received his M. Arch from Washington University in St. Louis in 1990. He worked in Los Angeles and London between 1989 and 1995 and returned to India in 1995 to found his practice.